What do the Real Housewives and Eric Prydz have in common? Well, clearly not much except that Eric and his girlfriend were the featured clients on the premiere episode of the eighth season of “Flipping Out” last night. The 38-year-old electronic powerhouse and his girlfriend are looking to flip an LA home they own but not without a few arguments along the way after seeking expert advice/contract work from professional flipper and star of the series Jeff Lewis. Catch Jeff and Pryda’s significant other argue over whether or not to put a bathroom in the laundry room in this clip and DVR the full episode for a chance to see Eric in his role as boyfriend, not superstar DJ. 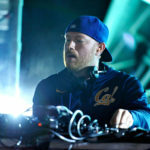 Eric Prydz recently announced he would drop a new EP of unreleased tracks every month from July to September, culminating with his new album slated for release in October.